Highclere Castle is the ideal location for both board meetings and conferences, offering exclusivity, discretion and privacy. 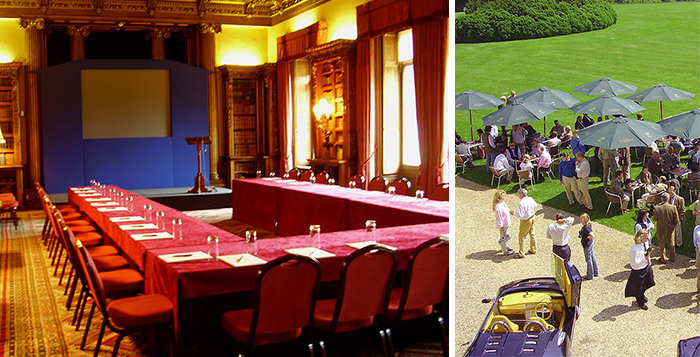 Highclere has the flexibility to accommodate smaller meetings in the State Dining Room or conferences for up to 80 guests in a ‘theatre style’ in the Library. Please telephone the Castle office on 01635 253210 for more details or email [email protected].